These rustic crates are perfect for displaying flowers, ready to be displayed the second they are delivered. Plus can be recycled by using as a planter afterwards! Available in Natural, Pink and Sage Green. Please specify if you would like a particular colour. 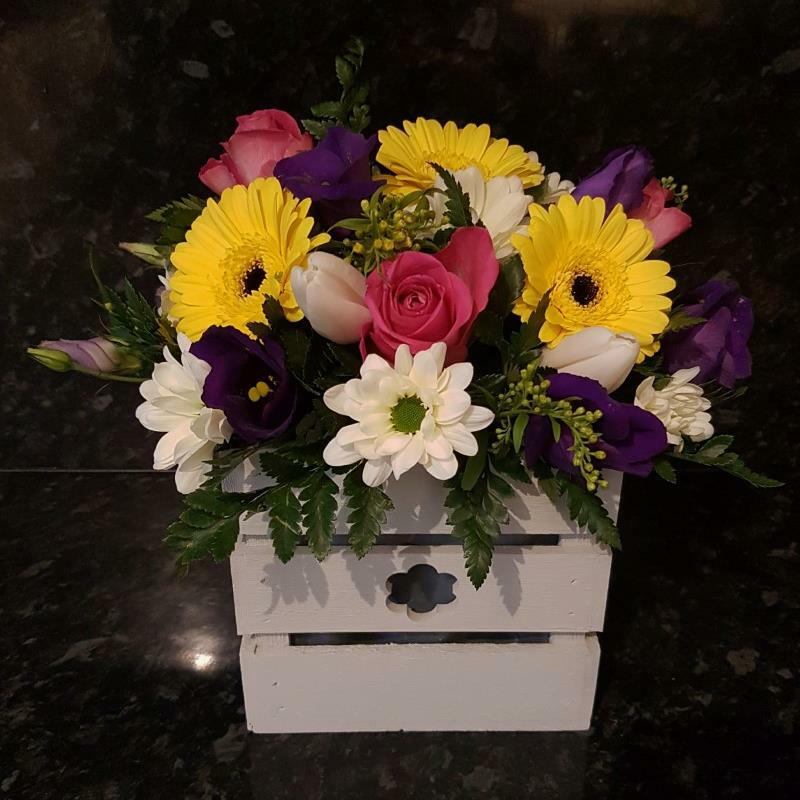 From £25 with a variety of fresh blooms.